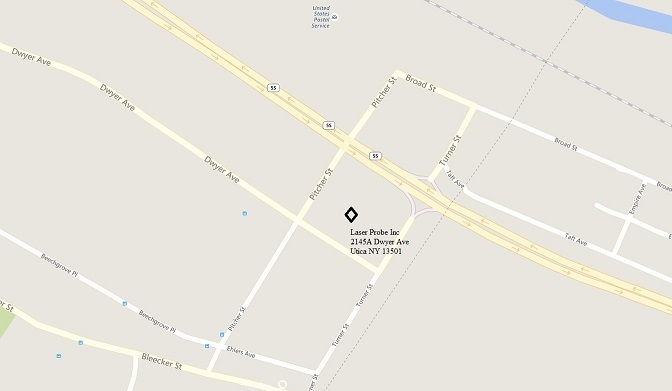 Laser Probe, Inc., an employee-owned company duly incorporated under the laws of the State of New York, was founded in 1992 to acquire the former Radiometric Division of Laser Precision Corporation. Laser Probe continues the proud tradition established by the LPC Radiometric Division as a market leader in the laser measurement field, with a combined experience approaching 50 years. LPI is located in Utica - Gateway to the scenic Adirondack Mountains - approximately halfway between Syracuse and Albany in historic central New York State. We are just 45 minutes by car from Syracuse's Hancock International Airport, with easy access from the NYS Thruway (I-90 Exit 31). Consult the map below or call us for directions if you would like to visit our facility.